Pod is the smallest and lightest GPS tracker plus activity monitor for dogs and cats designed to be attached to any size collar. It lets you locate your pet on demand, monitor their activity and record adventures on a smartphone or computer. Our newer generation Pod 2 has WiFi capability, which helps deliver faster positions and offers the ability to locate indoors. Pod service subscription is free the first year and $49 following annual renewal. The Pod depends on your 2G coverage so make sure to check your address against the coverage checker tool on our website. 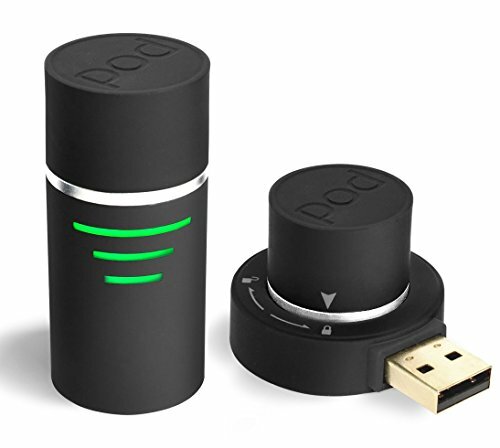 If you have any questions about this product by Pod Trackers, contact us by completing and submitting the form below. If you are looking for a specif part number, please include it with your message.